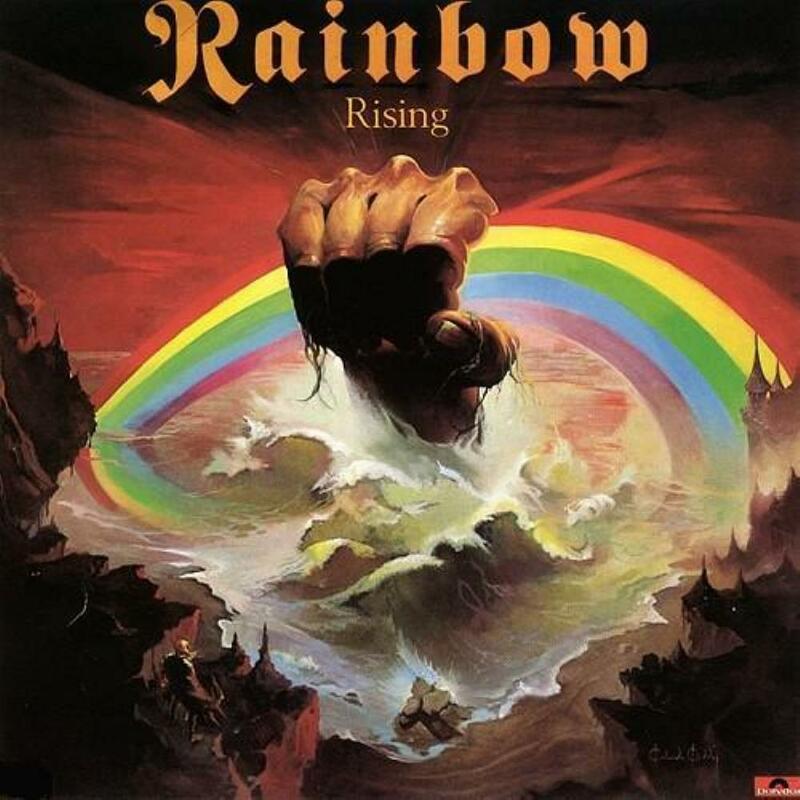 Rising was my first Rainbow album (still on vinyl), and I loved it immediately. Though Jimmy Bain on bass and vocalist Ronnie James Dio have never been the most talented musicians, and Ritchie Blackmore has proven later that he is at his best with an acoustic guitar, they somehow managed to compensate this by something they never achieved again: playing as a real band. The most dominant feature of Rising is the intensity of the songs. It is no wonder and quite fitting that Rising contains no ballad. The six songs, however, are nowhere near similar or even monotonous. Though it is evident that Ritchie Blackmore dominated the songwriting, of course letting Dio write the lyrics, similarities to Deep Purple are subtle. Blackmore's solos sound like they always did, but that's it basically. Drummer Cozy Powell and keyboarder Tony Carey prove that they are in the same league as Iain Paice and Jon Lord. Who would have thought that Carey would later become famous for a pop ballad like Room With A View? It is not easy to point out single songs as better or weaker, although Dio once stated in an interview that he wished A Light In The Black had never been written. I strongly disagree, as it is my second favourite song of the album. It is only surpassed by Stargazer which is the reason why I didn't write impossible at the beginning of this paragraph. Stargazer is definitely a five and a half star song with tendencies to six stars, although it never made my personal Top 10. But this is not Stargazer's fault but simply due to the even higher quality of the other songs I rated above it. The rating for Rising is simple: 5.0 stars.